We have experience in permanent makeup, lash perming, henna eyebrows and eyelash extensions. We are constantly updating our skills to give you the best experience possible. We can't wait to care of you! Classic lashes mean that there is a single extension applied to a single natural eyelash. This is the most realistic look and is the most popular starting out set. Russian Volume or 3D lashes mean that there are several super fine extensions clustered together to form a fan and then applied to a single natural eyelash. The D in “3D” means Dimension and the number in front of it means how many lashes were used to create the fan. 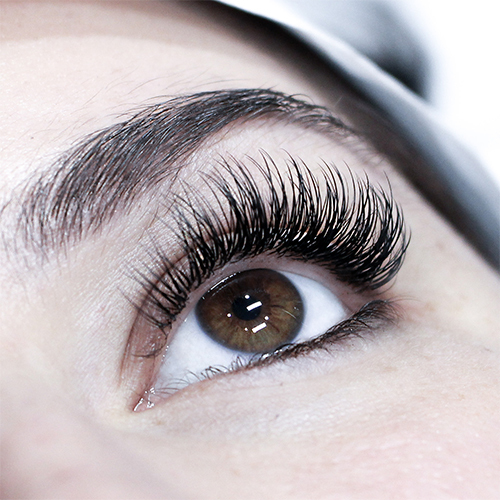 How many extensions in a fan depends on the desired look and the state of the natural lashes. 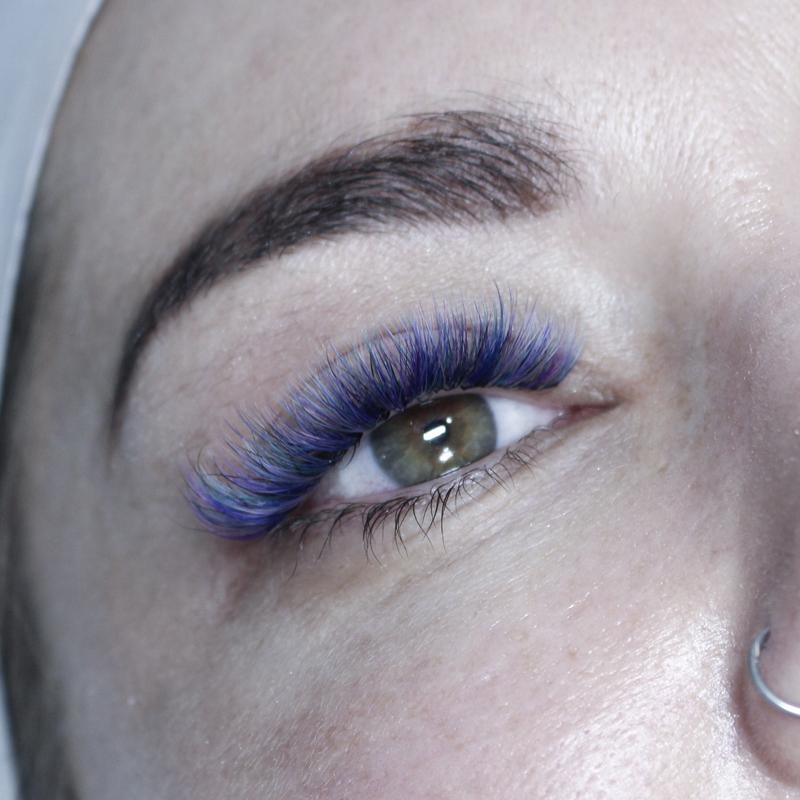 Mixed lashes are the best of both worlds! 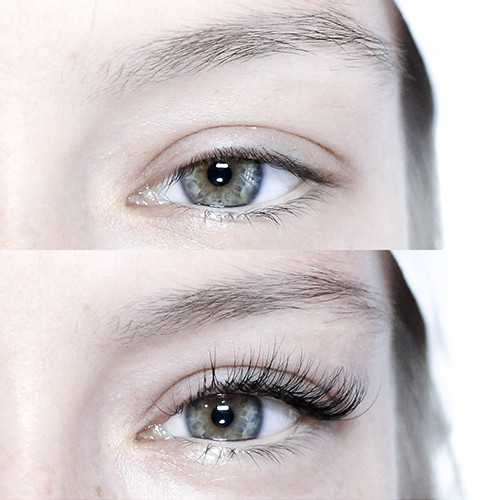 Half Classic lashes and half Russian Volume extensions to give you definition and fluffiness in one. 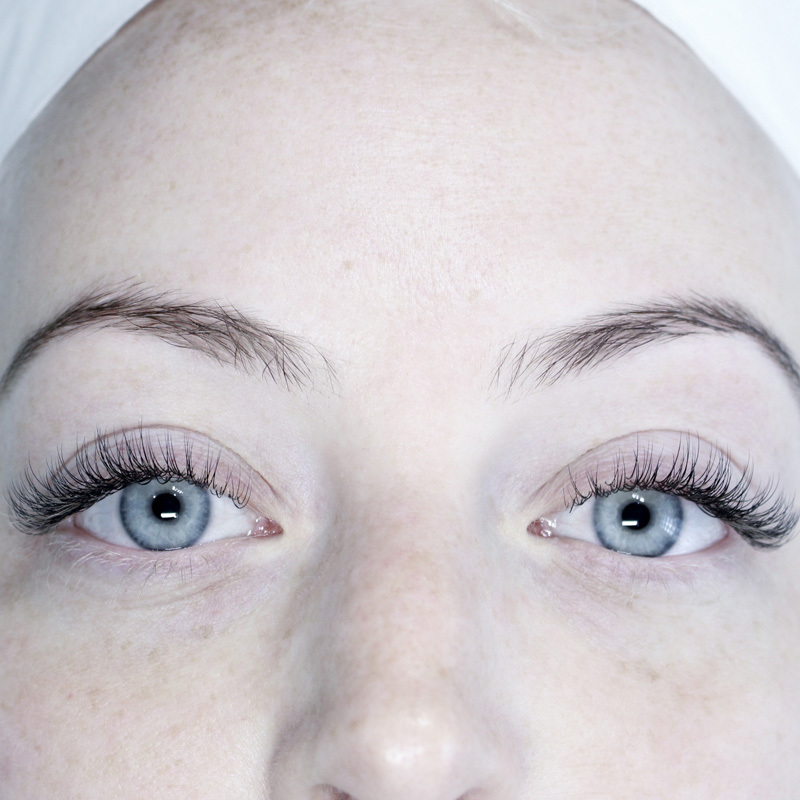 A lash lift or lash perm is a chemical process that changed the structure and texture of the hair. The result in natural with very low maintenance. The service is great for clients who cannot have eyelash extensions applied due to allergies. It also great for clients who cannot take care of their extension properly or cannot commit for various reasons. Whether you are looking for fluffy brows, kissable lips or define those beautiful eyes, we have the necessary experience to achieve your desired look. We use some of the industry's top pigments and tools and maintain top notch sanitation. First touch ups are included into the price and should be booked 6-8 weeks post initial procedure. Please read our blog post HERE to determine if you are eligible for these services. Cant decide how an eyebrow tattoo will look like or maybe you want your eyebrow tint to last more than 3 weeks, we got you covered! A natural alternative to conventional tinting and an awesome way to achieve gorgeous sun kissed freckles without any permanent damage. Every new client goes through an extensive consultation. We figure out what your ideal finished look is and how we can create and maintain in. You lash health is recorded to see any improvements or changes with your future appointments. You will be asked to lay down and have your eyes closed from 1 to 3 hours depending on which lash appointment you have booked for. We ask you to come with clean, makeup free eyes which includes no mascara, eyeliner or eyeshadow. It is not advised to curl your lashes prior to your appointment as the crimping on the lashes may not support the extensions entirely, lash perming is available for downward facing lashes. We advise not to drink any beverages with caffeine or alcohol prior to the service as well as engaging in intense physical activities. Please remember to silent your phone. Your initial consultation will give us an understanding of the effect that you are going for. Since there are several names to this service we will do our best to guide you to a look that is best suited for your lashes. We begin by thoroughly cleansing and priming your lashes for best product performance. Your lashes will be measured to ensure the right amount of lift or curl. Different sized silicone forms will be adhered to your eyelids create the desired look. After processing your lashes will be conditioned with nourishing oil that should be left on for 24 hours. The whole treatment can take up to 1.25 hours with tinting. 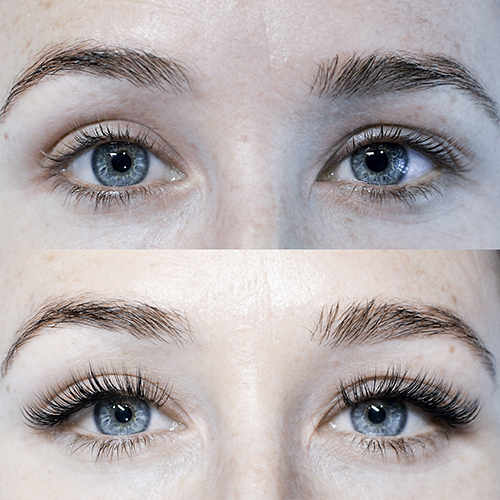 A lash lift generally lasts between 6-8 weeks between treatments. All perming services are vegan friendly. As with extensions, you are asked to come with makeup free eyes and not to drink caffeinated beverages. Before you come in for your service we recommend having a complimentary consultation to assess your eligibility and needs. We recommend following your pre+post appointment instructions so that your tattoo heals and looks fantastic. Your service will be begin with going over your ideal look and any last minute tweaking before we applying numbing cream. Once the area is prepped and numbed we will begin the procedure. All surfaces and tools will be protected accordingly and any tools penetrating your skin will be one time use and disposed of immediately after. Safety is our number one priority. We will periodically check in with you to see how you are feeling and will do our best to make sure you are comfortable during the service. Once finished, we will send you home with an aftercare pack and instructions to take care of your new tattoo. We strongly advise to come alone to your tattoo appointment as kids/friends/family/pets can be a distraction and a safety hazard.